'Bed & breakfast' (the English phrase; just pronounce with an Italian accent) is an increasingly popular accommodation option in Italy. Often B&Bs offer as much comfort as a 2 or 3-star hotel at half the price, but without the additional services. You're unlikely to find a reception desk, on-site staff, bars, public spaces or a hotel-style sense of occasion. There's no long-standing B&B tradition, and what you'll find can vary considerably. There's unlikely to be a rosy-cheeked farmer's wife frying up a full English breakfast, but you may find elegant proprietors letting out a couple of rooms in their stately flat, a young go-ahead couple organising rooms to let in their second apartment or even a budget-hotel type set-up without the space or facilities to qualify as a star-rated hotel. In the smaller, more informally-run operations, you are likely to be left to your own devices: given a key to the building, the apartment and your room and left to fend for yourself. This suits some travellers, but could be a drawback if you prefer to have assistance always at hand, or a friendly face to greet as you enter or leave the property. Breakfasts are generally even slighter than at budget hotels, with a few honourable exceptions. You will probably have to make arrangements with the owners for your arrival, as many will not be on-site all through the day. For the same reason it may not be as easy to leave your suitcase on your departure as it would at a hotel. You may also be required to pay in cash - check the booking pages or ask when you arrive. The biggest advantage is the price: even in Venice B&Bs can be surprisingly affordable. The very best, though, do charge hotel-level prices, and Venice is not a cheap city. You may find a more personal and friendly welcome, and enjoy lodging in very different surroundings to a typical hotel. In these small establishments (typically with between two and six bedrooms) you avoid the problem of being disturbed by many fellow guests. B&Bs are often located in quiet areas and corners of the town, away from the busy hotel-lined lanes, so can be ideal for a more secluded and peaceful holiday. With B&Bs, even more than with hotels, it is important to read reviews from fellow guests and see what they have to say about the standard of the accommodation, the helpfulness of hosts and the convenience of the arrangements. Before you book, make sure you have scrutinised the reviews published on the booking websites with links below and have a good idea of what's on offer at your chosen B&B. 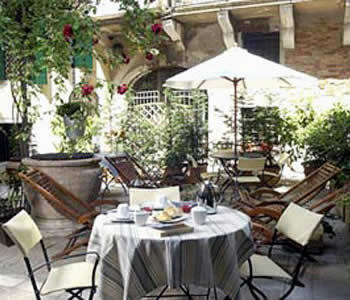 There's a huge variety in prices: Venice B&Bs may charge anything from €80 to €190 for a double bedroom. We don't list prices here as they're so changeable depending on season and availability. Book well ahead; these B&Bs only have a few rooms and are very sought-after. 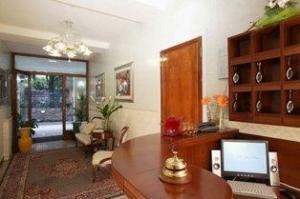 Casa Baseggio is in the attractive part of northern Venice near the Fondamenta della Misericordia. It's a fairly new business in a historic building with very nice, clean bedrooms at prices which are very good value by Venetian standards; this is among the cheapest of our B&B options. District: Cannaregio. Another popular choice, with three attractively-decorated bedrooms and good views. Note that past guests' reviews range from excellent to disappointed so perhaps service is somewhat erratic. There are stairs to climb with your luggage. 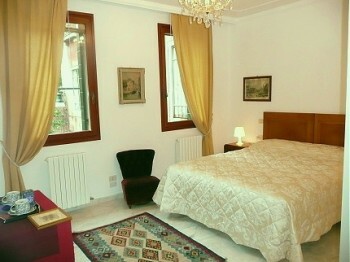 The bed & breakfast is located near the Arsenale, with views over the lagoon towards the island of San Giorgio Maggiore. District: close to the residential eastern end of Castello. Expensive for a B&B, but offering a chance to enjoy luxurious rooms without the hustle and bustle of a hotel, this B&B has large and comfortable rooms. It's run by a mother-and-daughter team, and is in a great spot near the Rialto and Campo San Polo (the location of our favourite pizzeria). Get detailed instructions for finding the B&B, and check on a map before you go; the B&B is just off the main route from the Rialto to Campo San Polo, but the lanes here are very confusing, especially for Venice first-timers. District: San Polo. Somewhere between a B&B and a very small hotel (6 bedrooms), the Ca' San Rocco is in a quiet and convenient location, within walking distance of the main arrival points in Venice: Piazzale Roma and the railway station. The buffet breakfast is highly-praised in guest reviews. District: San Polo. > Full Venice accommodation search - B&Bs are mixed into the accommodation listings; select 'bed and breakfasts' or 'guest houses' under 'property type' in the left margin to see properties in each category.